a few groups/projects i'm fortunate enough to have a role with. 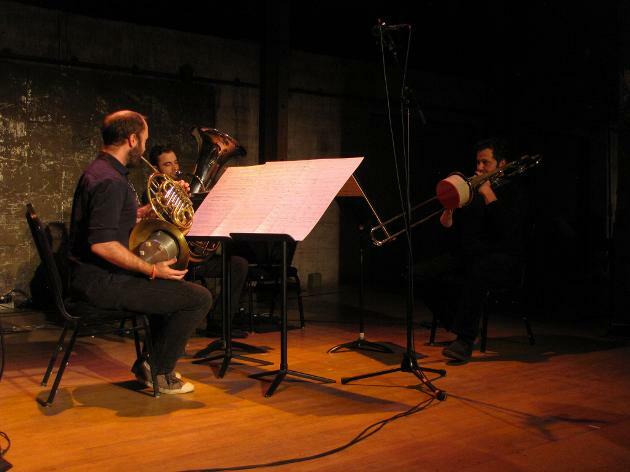 for HatHut Records, fulfilled residencies at Harvard, Stanford, NYU, and Columbia. Weston lives and works in New York and Matt in Los Angeles. They are best friends. with Brian Walsh, Derek Stein, and Richard Valitutto. Heterphonic Avant-garde. We like dogs and coffee. And Adriana Holszky. Nicholas Deyoe, Rachel Beetz, Scott Worthington, and Brian Griffeath-Loeb. of Wolfgang von Schweinitz. We play other things sometimes too. Kobayashi is all on faculty together at CalArts. 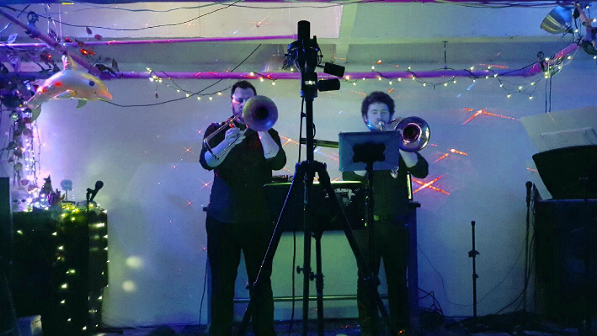 Deyrdier- noise duo with Nicholas Deyoe. wildUp. i play trombone. and drink coffee. and we pet dogs. 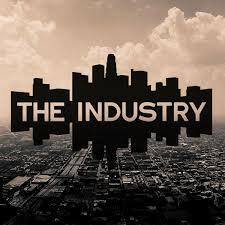 The Industry. I play trombone and other things in the house band.